15ct antique diamond gate bracelet. 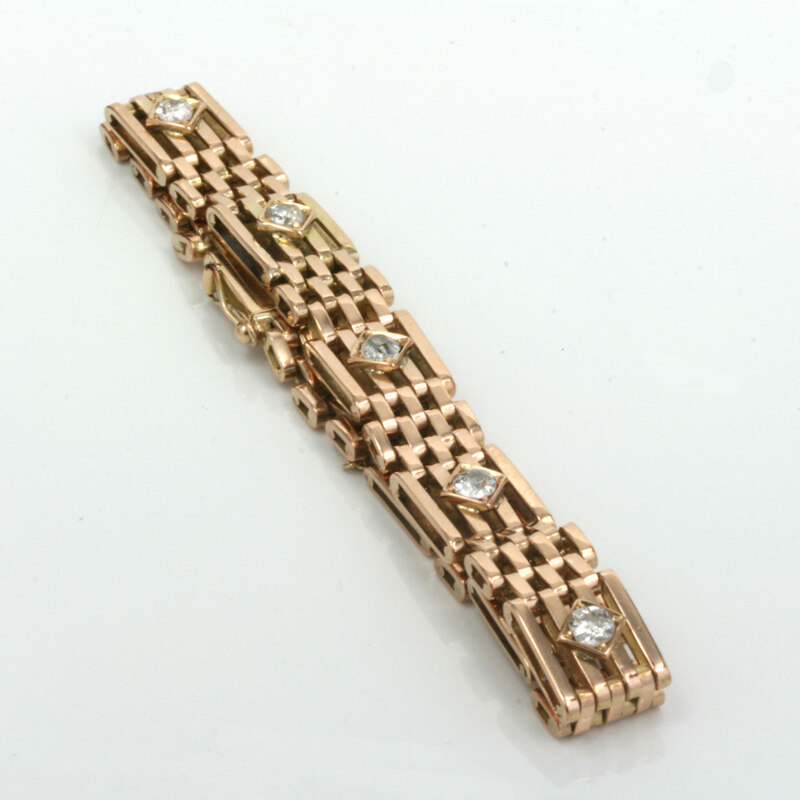 Product code: ES3390 Categories: Sold Items, Sold Jewellery. Here is such a delightful and very elegant antique gate bracelet from the early 1900’s that is set with diamonds. Made in 15ct rose gold, 15ct gold was used up until 1931 and the colour from the rose gold has such a wonderful warm colour to it that looks magnificent on the wrist. The bracelet itself measures 18.3cm in length by 9.8mm wide and is so easy to wear day or night and thanks to the gate link design rolls around the wrist so elegantly. It is fitted with a tongue clasp with both a safety chain and safety clasp for added security and safety. 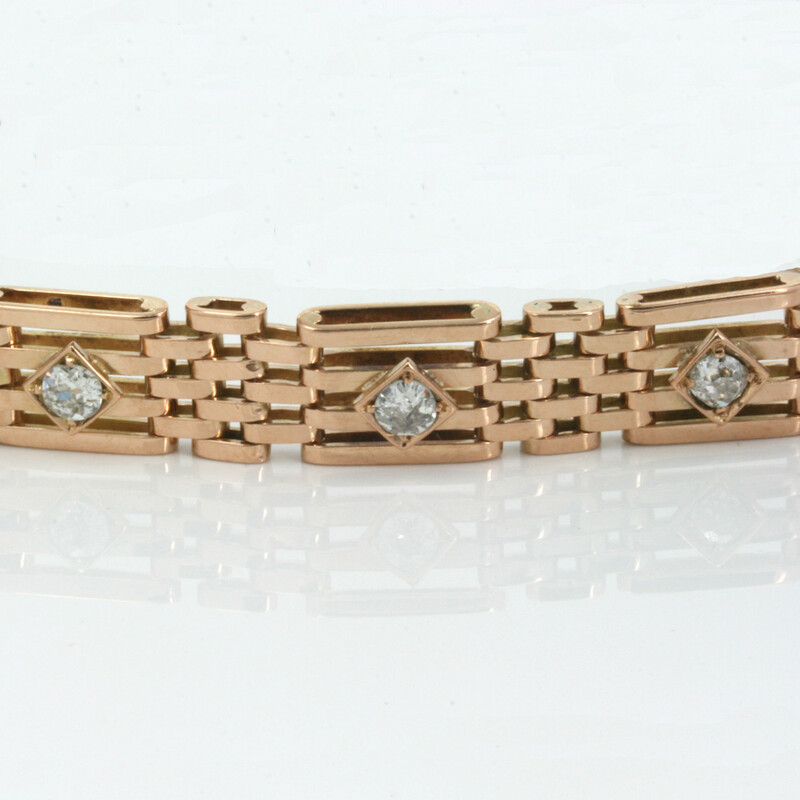 Set into the bracelet are 7 lovely old European cut diamonds that sit so well against the rose gold and these diamonds total 1.05 carats and have such a wonderful sparkle to them all. Gate bracelets always sit so well on the wrist, and this antique gate bracelet is just magnificent with the rose gold and the sparkle from the diamonds.